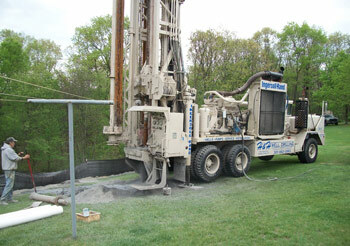 With over 40 years combined experience, we specialize in the drilling and development of water wells. Whether it is for your personal home or a commercial property, we can provide you with the water that you need. We also offer well drilling for residential or agricultural irrigation systems. Our skilled Well Drilling Crews have the necessary training and experience to service your needs for years to come. We offer a complete line of Berkeley and Grundfos pumps, as well as Constant Pressure Pump Systems priced to meet your needs. Our skilled Pump Installation Crew can answer any of your questions and service any make or model of water well pump. Take advantage of our 24/7 water well and pump services by contacting us local number or our toll free phone number. 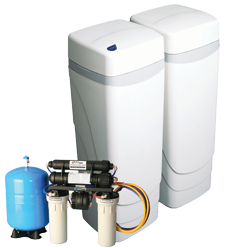 We currently specialize in the installation and service of Residential Water Softeners, Iron Filters, Acid Neutralizers and Ultraviolet Lights. Click here for Water Conditioning page. Don’t allow the rising fuel costs to control your heating and cooling budgets, Go Green with an H & H Geothermal System.